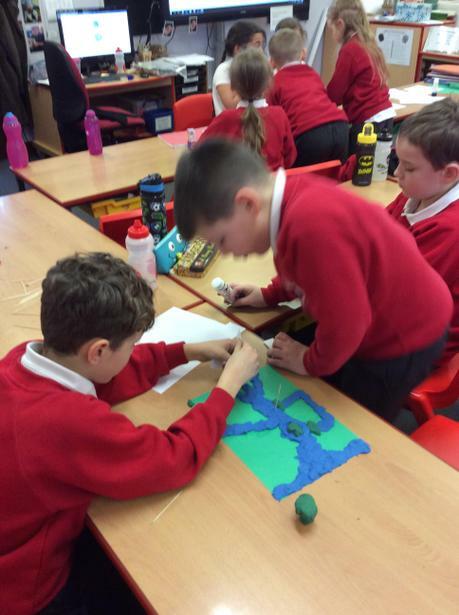 We used the large floor globe to locate land and sea. 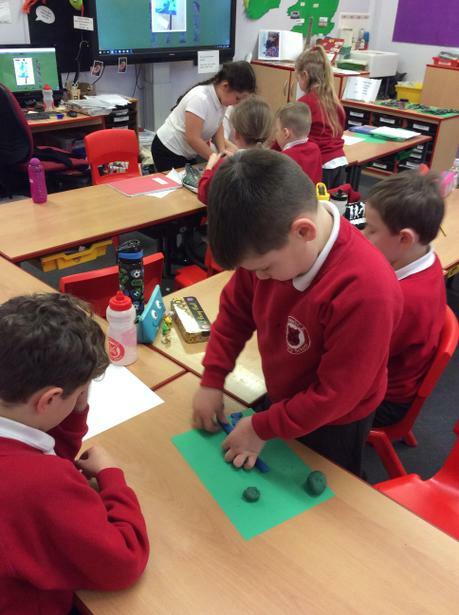 We talked about the size of the countries compared to Great Britain and discussed the lines of longitude and latitude and the equator. 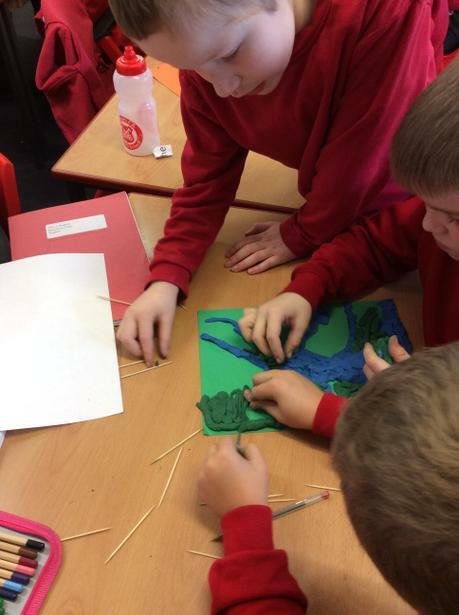 We used the atlases to locate cities and counties in the UK. 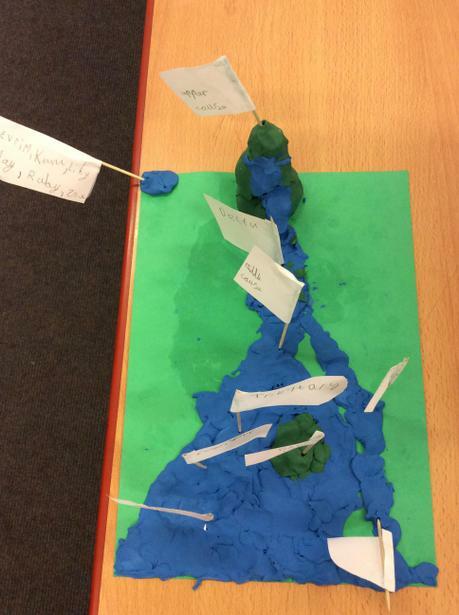 We have been learning about the journey of a river from its source in the mountains to the mouth. 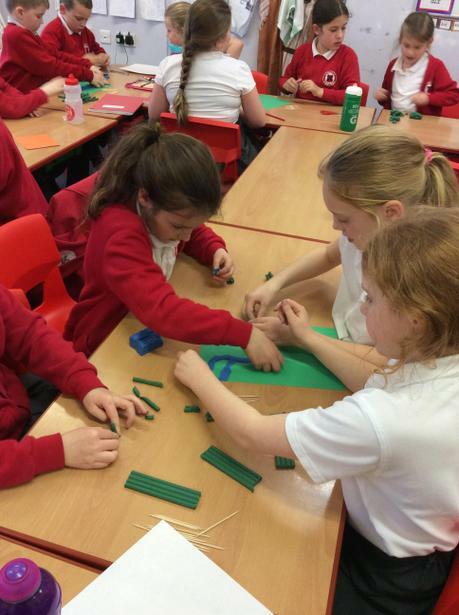 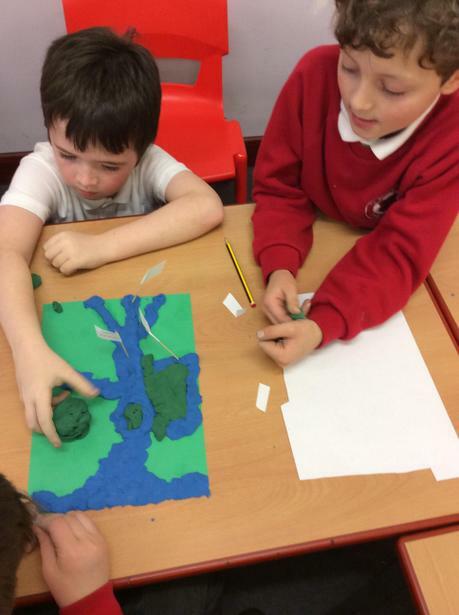 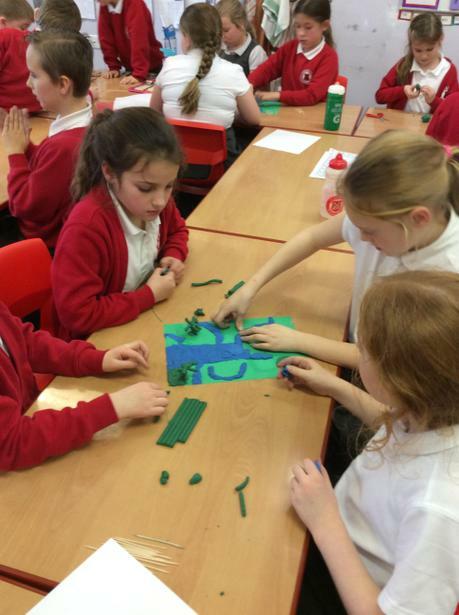 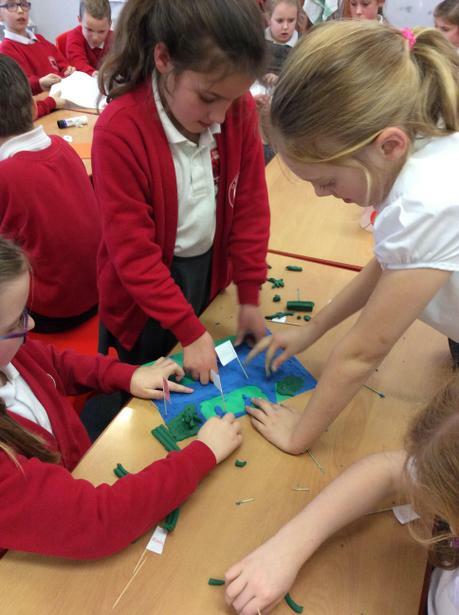 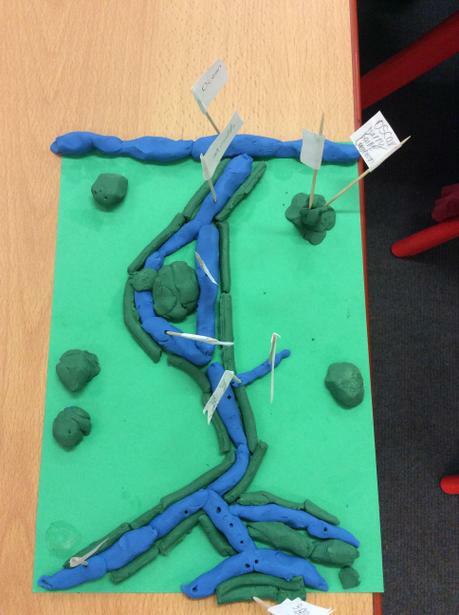 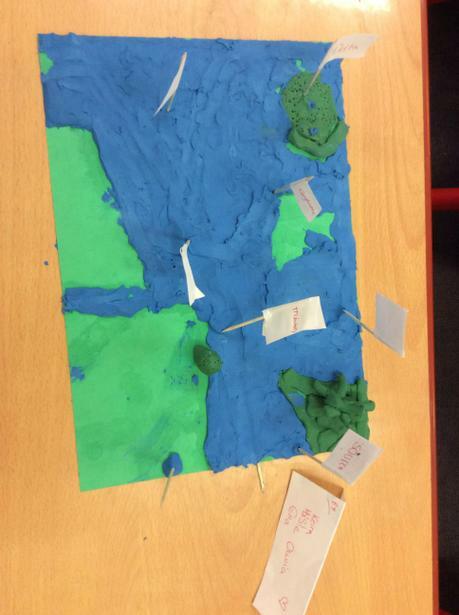 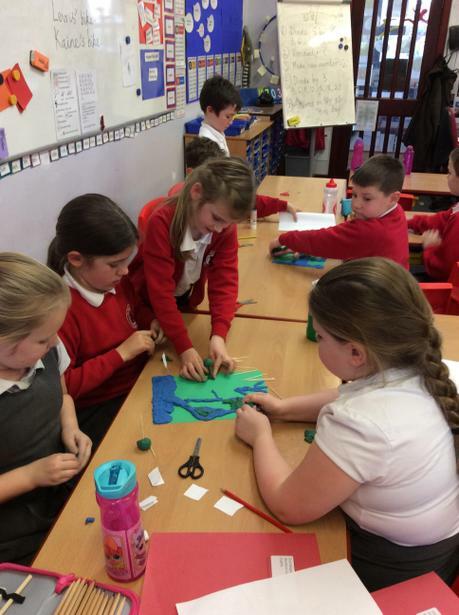 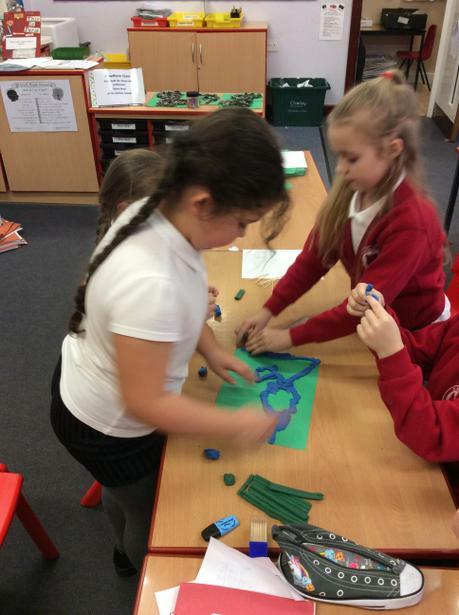 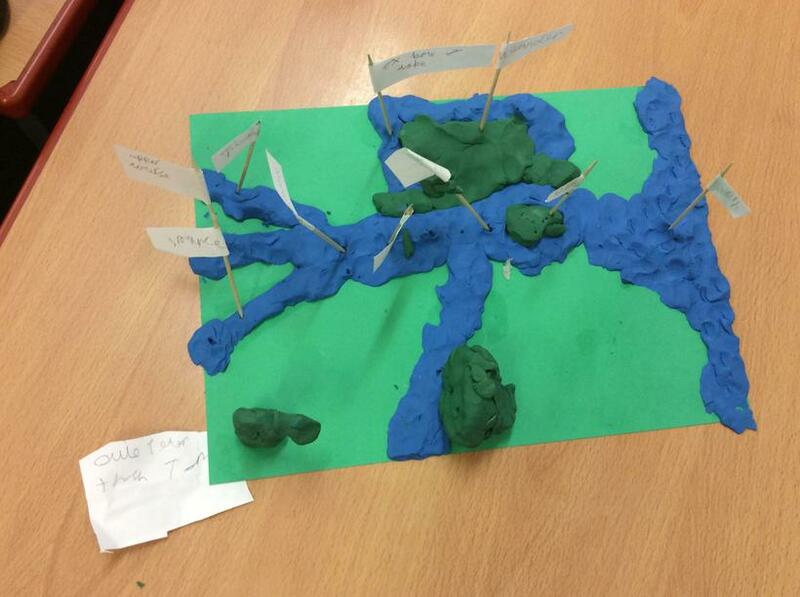 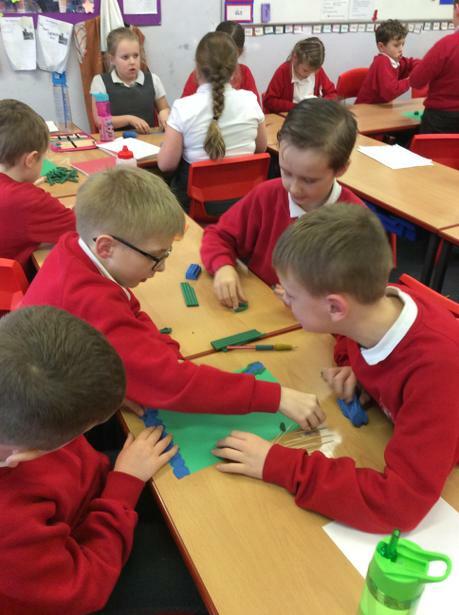 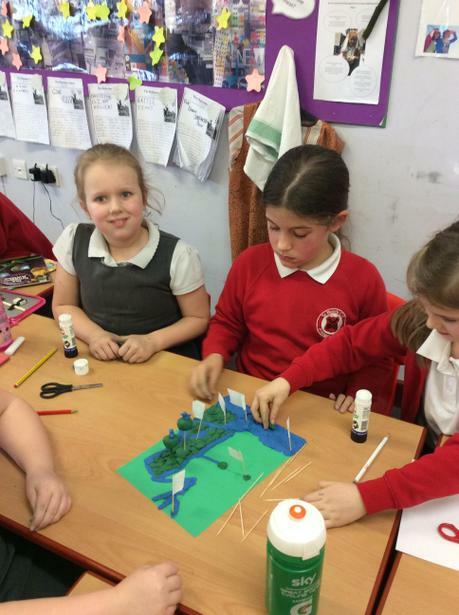 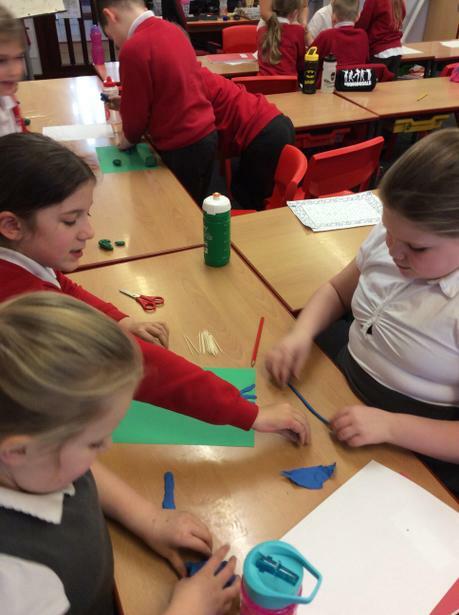 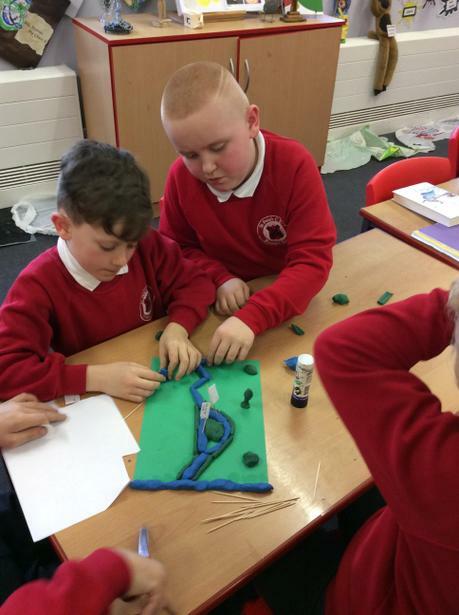 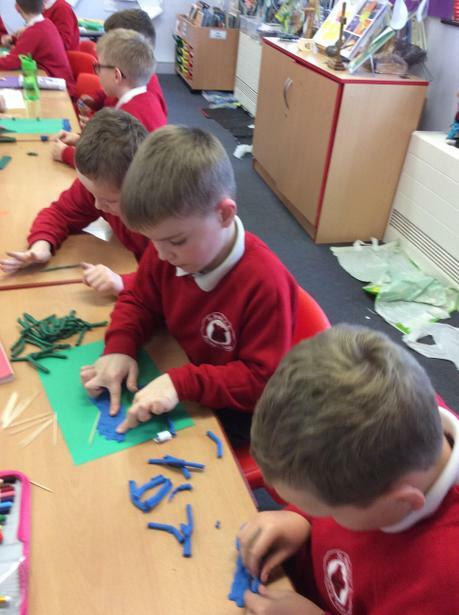 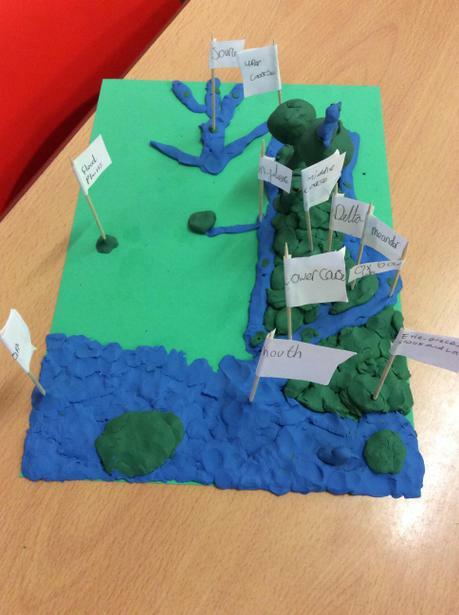 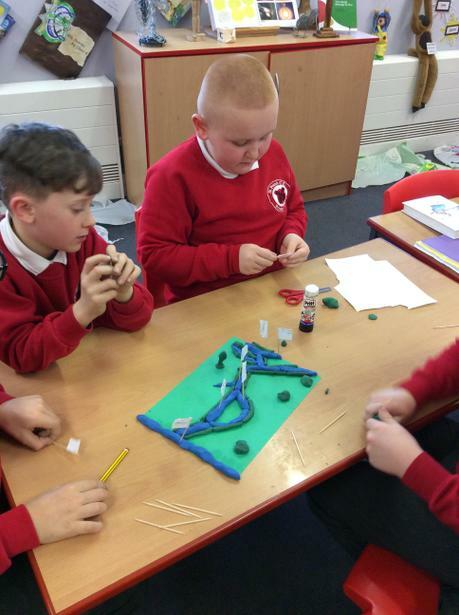 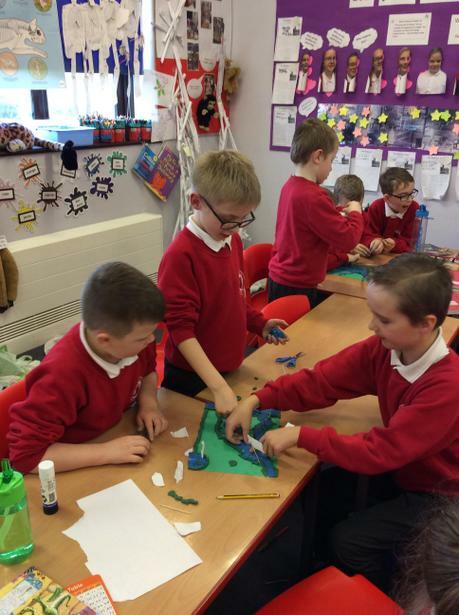 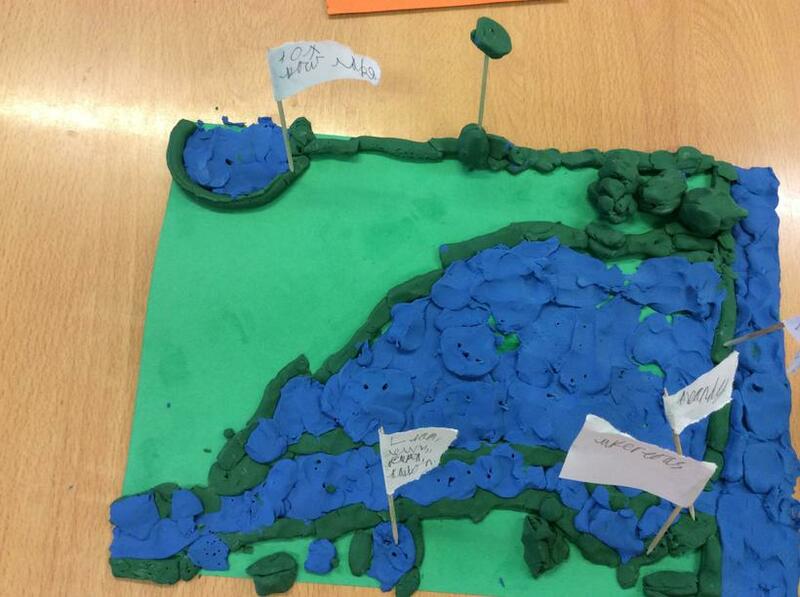 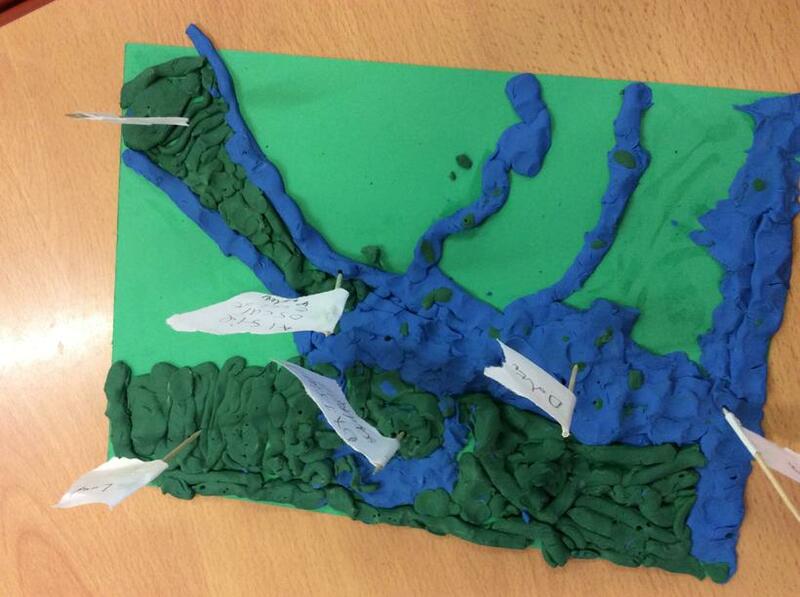 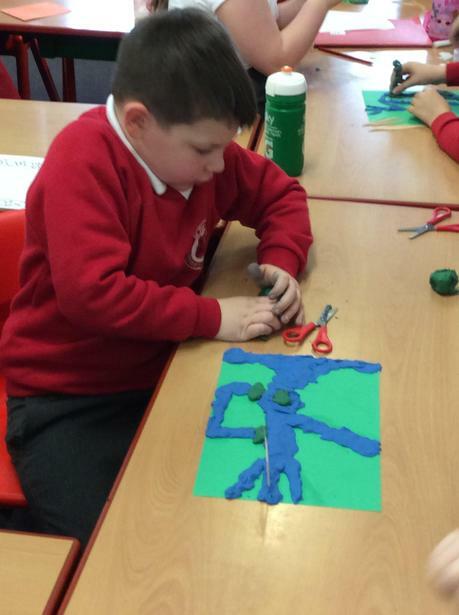 We created models using plasticine to show the different features of the river. 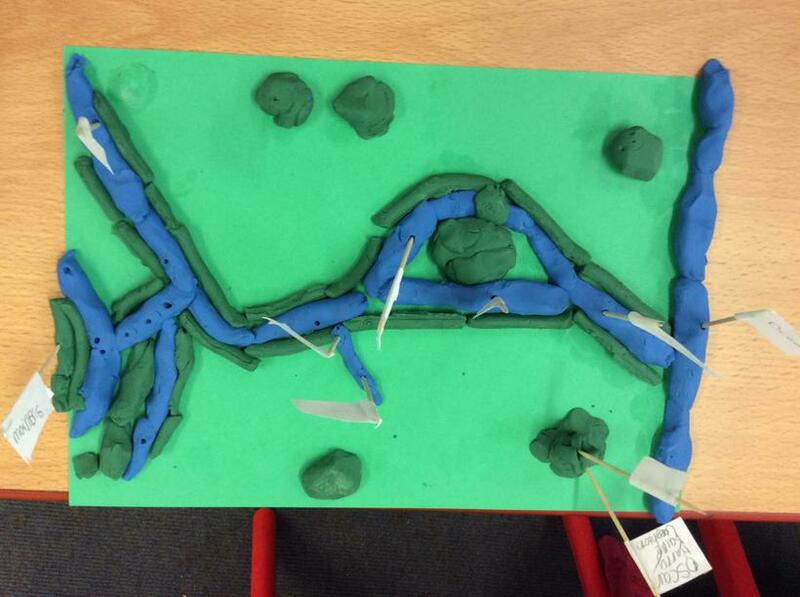 Can you spot the meander and the tributary?